Thank you for the support you’ve given to our small business, I could not have done this alone. Twelve years is, both, a long time and a very short time to think about starting out as a twenty-one year old. The day I finalized and signed the papers, I paused to realize I actually made my dream official; I founded a company. In many ways it was just an extension of my childhood passion. Sharing stories with clientele about growing up with a father who was a barber and mother a teacher, I could not choose between the two professions. Therefore, I chose to combine both strengths to teach future stylist’s the art of cutting. Many people wished me well with my journey ahead while others doubted the ambitions of a young, female starting her own business. Now, we are celebrating our first milestone and have claimed our rightful place here in the community. 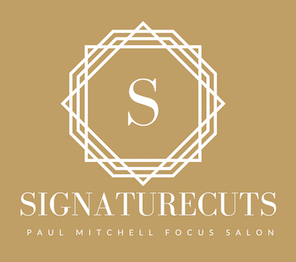 For those who’ve come to work and contribute to the company over the last ten years, I thank you and together, we have made The Signaturecuts Company. I wanted to create a wonderful place to work, to better ourselves and fill the salon with some of the best talent in town. As a full service salon we are excited to have you looking your best. Being a Paul Mitchell Focused salon we understand what professionalism means. Treat yourself to a salon experience that you deserve by scheduling an appointment. Come in and Welcome our new addition to the team Alyssa!
? Model call ? looking for medium-long length ladies to receive a new haircut ?? ??Interested?!?! Message us or comment below?? Paul Mitchell Educator will be demonstrating new techniques & product information. ?If you haven’t visited in a while come check out our new look! ?
? ?Lyndsey is back and well ?